Workers perform at their best when they are in an environment that is conducive to long-term concentration. Comfortable and safe working conditions can greatly improve any worksite. While some may think that providing these types of work environments requires costly renovations, more economical solutions are available. 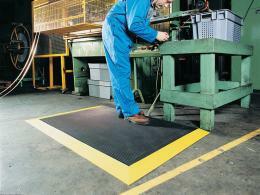 The Workplace Depot is excited to offer the Vynagrip Antifatigue PVC Mat. This product can prove to be an asset to any workplace and crew with its ability to make the area cleaner, safer, and easier to work in. What is The Purpose of The Vynagrip Antifatigue PVC Mat? 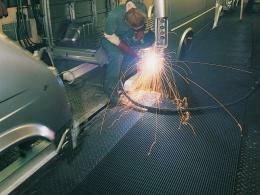 This mat was designed to improve the work environment in a number of ways. 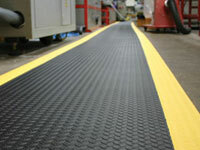 The grid-welded PVC non-slip surface prevents falls during quick movement and provides comfort during longer jobs. The mat is also hygienic. It resists oil damage, drains well, and is easy to clean. This makes it easier for technicians to focus on the task at hand without worrying about spills. A variety of companies perform automotive, welding, carpentry, engineering, or other similar types of work that can require technicians to stand for long periods of time. The Vynagrip Antifatigue PVC Mat gives workers the comfortable foundation they need to concentrate on their tasks without becoming worn down during longer jobs. 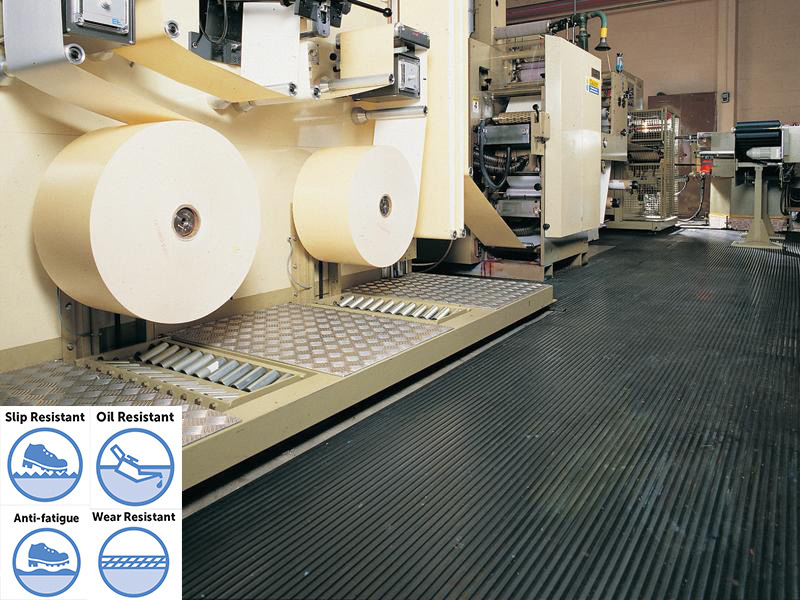 Factories that want an economical way to provide safer conditions will also enjoy having a non-slip surface to place in areas where work is done frequently. Every technician has become worn down after a long day, and sometimes this can cause their performance to suffer. Additionally, concerns about spilling material or slipping can also inhibit one from performing at optimal levels. Anyone can improve a workstation with this product as it guards against these issues in an affordable manner. This product is available with the option for coloured edges and a variety of sizes. Get the right fit for your commercial business today!